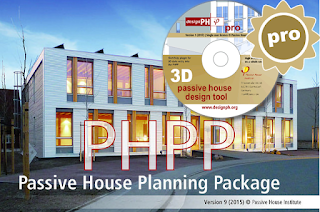 Additional qualification for Certified Passive House Designer/Consultants, to demonstrate competence in dealing with larger Passive House projects, including non-residential building, refurbishment, PHPP-sheets Variants and Comparison, designPH, BIM, thermal bridges. Fundamentals of THERM (to be tested). Your registration is conditional on these prerequisites being met. After registration, you have one week to sit online tests to demonstrate software prerequisites. Your registration will be accepted if you are successful in all tests. If you cannot demonstrate the required prerequisite skills, additional training (at cost) will be offered to you. Alternatively, a full refund of the course fee will be issued. Full day classroom teachings will be offered 14-16 October 2019 in Auckland. Day 3: Non-residential and Components; BIM brief. Exam on 07 December 2019. An exam fee of NZ$500 applies. After the classroom training days, a homework assignment to build a PHPP of a more complicated building will be provided. This needs to be submitted before 5 November. Completing this homework to a reasonable level is a prerequisite to sitting the exam. In addition, other online readings and exercises may be required leading up to the review date. On 5 December 2019, a review and exam preparation is offered as an online session (1-5pm). Specific requirements: Laptop, PHPP software and handbook, designPH, THERM.